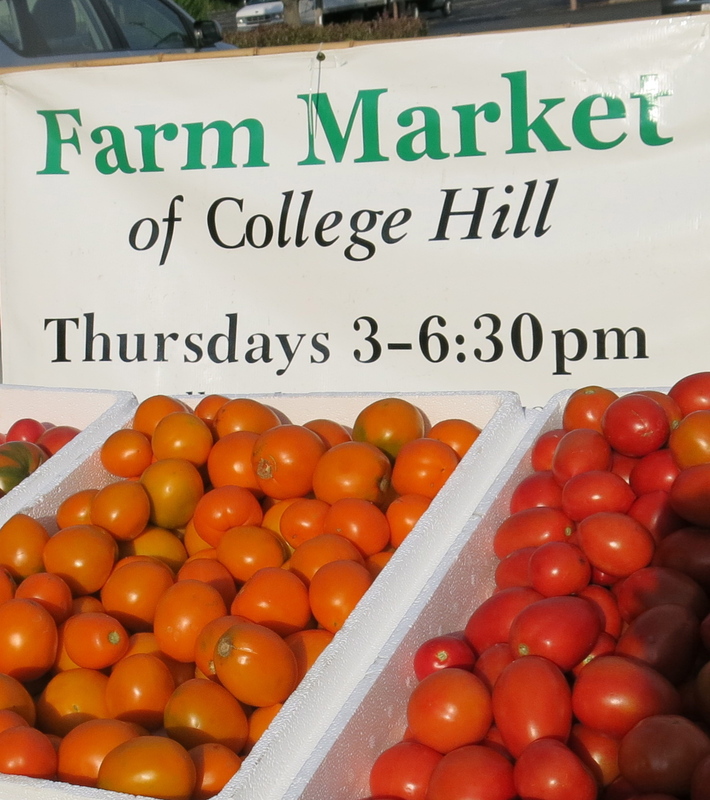 It is time to begin thinking about cooking with juicy, local tomatoes that are now plentiful at the market. How about a big slice on a grilled cheese sandwich? fresh tomato sauce with your favorite pasta? a tomato stuffed with tuna salad? You will have many different sizes, shapes, colors and variety to tomatoes at the market this week. Here are 40 recipes for cooking with fresh tomatoes. If you think the market is only about fresh produce, think again. Each week you can find delicious granola from Grandola Granola, safe natural skin care products and organic herbal tea from Green Grrrl Wisdom, and fresh bread from Shadeau Bakery. Aunt Flora brings yummy cobblers and pulled pork sandwiches. Seeders and Feeders have local apples and should have plums soon. Back Acres Farm offers a variety of farm produced items, including cheese, yogurt and meat. How about treating yourself to a jar of jam? Kids Corner from 3:30-4:30 is Miss Amanda, the Children’s Librarian from the College Hill Branch. She’ll share some of her favorite books, complete with silly voices and a puppet or two. Preschool and elementary aged children will love this! Sunflower will play Native American flute music from 5:00-6:30. We take credit cards and EBT. We have up to $10 matching funds to by fresh fruit and vegetables for eligible EBT customers. This entry was posted in News by College Hill Farm Market. Bookmark the permalink.